Its old name “Kondhana” was based on the sage Kaundinya. According to historians, here in ancient times, there was ‘Kaundinya’ or ‘Shringi Rishi’ ashram. Historians have thought that any of the Yadavas or Shilahar kings of Maharashtra would have built the fort of Kondana. In the time of Muhammad Tughluq, this was in the possession of a king named ‘Naganayak’.Naganayak was the tribal Koli king. Tughluq defeated him in the 8 months long war and conquered this fort. After Tughluq fort was in the control of Malik Ahmed which was the founder of “Ahmednagar”. 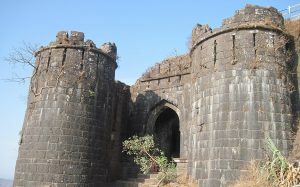 In the period of Ibrahim Adil Shah his commander “Shahaji Bhosale” controlled this fort. Shahaji Bhosale was the father of great Maratha king “Shivaji”. Ibrahim Adil Shah was the sultan of Bijapur. Shivaji refused to accept Adilshah’s kingdom and fought with him for the freedom. In 1647, Shivaji took control of the fort from the control of Adil Shah. But In 1649, after the release of Shahaji Maharaj, it was handed over to Adil Shah again. In 1656 Shivaji Maharaj once again captured this fort with the help of Bapuji Mudgal Deshpande. After this, during the decade of 1660’s Mughals attacked this fort continuously in the year 1662, 1663 and 1665. In the year 1665 as per Purandar’s agreement, The control of this fort was handed over to the Mughal king Aurangzeb. But due to Aurangzeb’s conspiracy, this agreement didn’t last more than 5 years. In the year 1670, Shivaji attacked this fort with the help of his childhood friend Maratha Sardar “Tanaji Malusare” and other 300 Mavalas. Tanaji lost his life in this battle against fighting the guard of the fort Udaybhanu Rathod. After Tanaji, his brother Suryaji took over and captured Kondhana. Maratha soldiers gave a sign of victory to Shivaji, by lighting a bonfire. Shivaji came here and said famous words “Gad Aala Pan Sinha Gela” on this occasion. Since then Kondhana fort known as Sinhagad. He captured this fort and from then to the year 1693 this fort was under the control of Maratha’s. After the death of Sambhaji, Marathas lost their control from this fort and in the year 1703, it was again captured by Aurangzeb. In the battle of 1706, Marathas won this fort once again and till 1818 it was under the control of them. In 1818, British captured this fort. This fort is located in the heart of the series of other Maratha forts like Rajgarh, Purandar, and Torna. This fort was also considered as one of the most favorite forts of Shivaji Maharaj. Fort built on the Bhuleshwar rock present in the Sahyadri mountain range. This fort is situated at the elevation of 1300 meters. There is a strong slope around the fort, its walls and turret have been constructed only at important places. This fort has two doors – the first Kalyan Darwaja which is located in the southeast and the other is the Pune Darwaza which is located in the north-east. There are 2 memorials built in this fort. One is in the memory of great Maratha warrior “Tanaji Malusare” while the 2nd memorial is in the memory of Shivaji’s youngest son “Rajaram” who died in this fort. There is a temple of Hindu goddess Kali Maa in the fort. on the right side of this temple, a statue of Lord Hanuman is established. This fort is also the part of the training of Khadkavasala’s National Defense Academy. Non-vegetarian food, liquor, and smoking are strictly prohibited in the fort campus. By Road: If you want to come here via road by public transport then you will get the PMPML buses from Shaniwar Wada or Swarget Bus Stand. It takes approx. one and a half hour to reach this fort by road from Pune. By Train: The nearest railway station is Pune Junction. You need to use PMPML bus from Pune Junction Bus stand. Or you can use the private taxi services like Uber and Ola. By Air: The nearest airport is Pune airport. The airport is located out of the Pune city. So tourist needs to come in the Pune city using private or public transport. After reaching Swarget or Shaniwar Wada they can use PMPML bus services. Tourist can visit this heritage fort from 6 am to 6 pm. It remains open on all weekdays. There are different entry fees required based on the vehicle type. For Two Wheeler Rs.20/- entry fee required. For Four Wheeler Rs.50/- entry fee required. 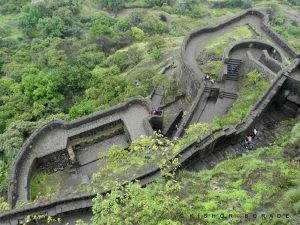 October-March is the best season to visit this heritage, Sinhgad Fort. Sinhgad Fort is located around 29.7 km’s from the heart of the Pune city. Approximately 2-3 hours required to visit this place.